I don’t think it’s hyperbole to suggest that DC is poised to have one of its biggest summers since the ’80s. Let’s take June 1986. Wanna know what was on sale that month? How about The Dark Knight Returns #4, Whatever Happened to the Man of Tomorrow? and Watchmen #1. Flip the calendar page to July and you can add The Man of Steel to the mix. And Alan Moore was still on Swamp Thing too. 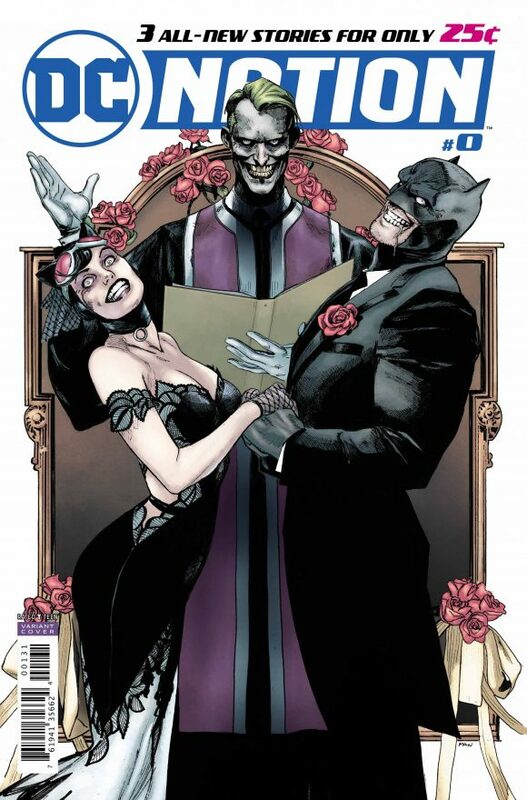 In the first story, the Joker torments a random homeowner while waiting for a wedding invitation that we know will never arrive. Unfortunately, the poor schmuck knows it too — and fears what’ll happen when the Joker realizes it. It’s the most tense 8 pages I’ve read in a long time and the highlight of the issue. 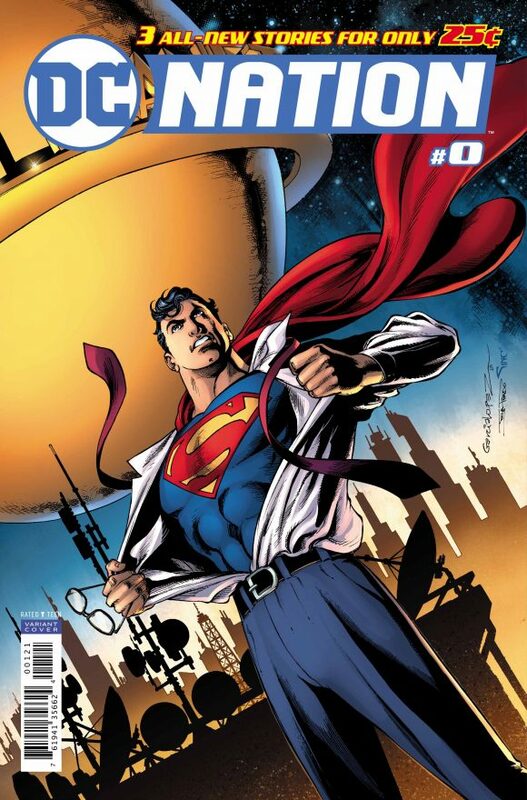 The book then segues into Bendis’ second Superman story, following his debut in Action Comics #1000. While that story was a big, bombastic battle in the middle of Metropolis, this one deals almost exclusively with (a Christopher Reeve-ish) Clark Kent and the new status quo of The Daily Planet — with an absent Lois Lane and a new staffer who doesn’t appear to have altruistic reasons for joining this great metropolitan newspaper. It doesn’t grab you like the Action story but it’s not meant to. 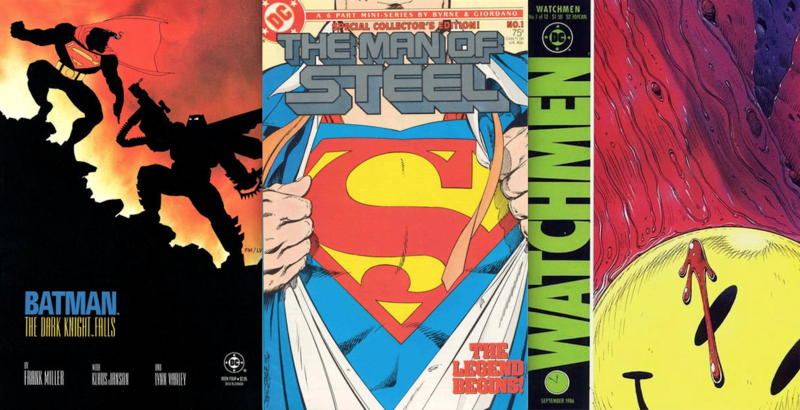 It’s all just set up for the main event — The Man of Steel #1 on 5/30. 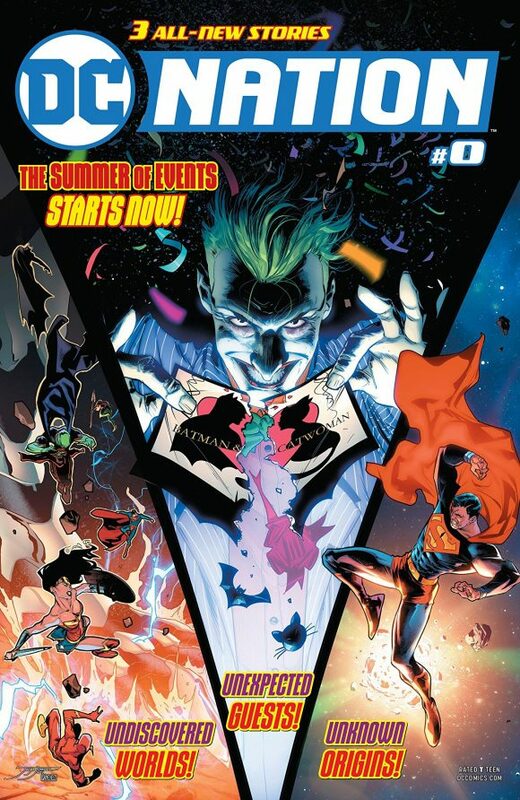 The issue wraps up with a prelude to Justice League: No Justice, the weekly series written by Scott Snyder, James Tynion IV and Joshua Williamson that will lead to a new series of JL titles, including a revamped flagship that will be helmed by Snyder himself. This one’s standard Justice League — the World’s Greatest Superheroes (and Supervillains) have split into four teams to combat a cosmic threat out to destroy us all. 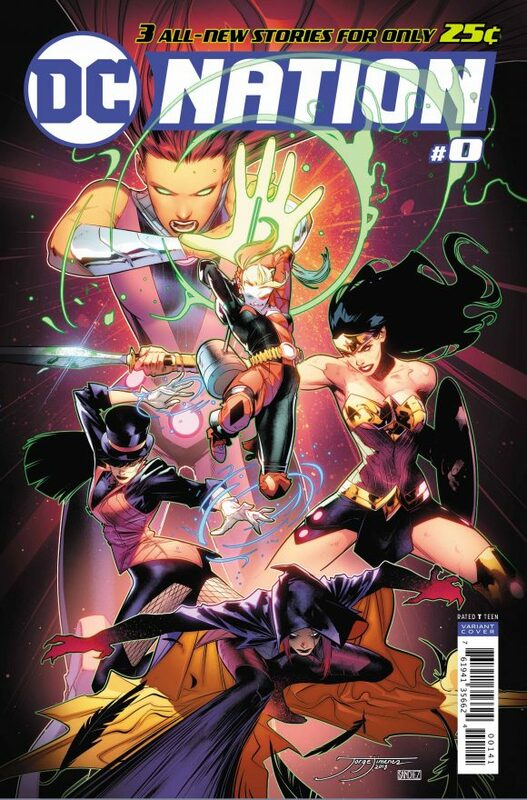 Even though this was a little cramped, there’s no question that No Justice — with art by Francis Manapul — will be a must-buy when it formally launches next week. So, OK. Perhaps it’s not fair to bring up 1986, which radically altered the comics industry. But 2018 is looking like one hell of an entertaining summer, thanks to some top-flight talent.